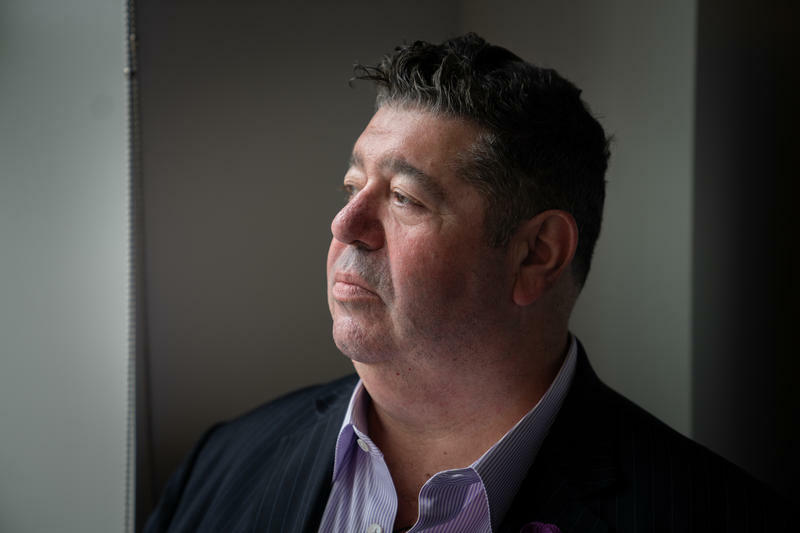 Rob Goldstone, the man who sent the email to Donald Trump Jr. that proclaimed "Russia and its government's support" for the Trump campaign, now says he had no idea what he was talking about. In fact, not only did he not know the Russian government had launched a broader program of "active measures" against the 2016 election, Goldstone also says he made up some of the most important details in the message. It's been a tough couple of years for the business of voting. 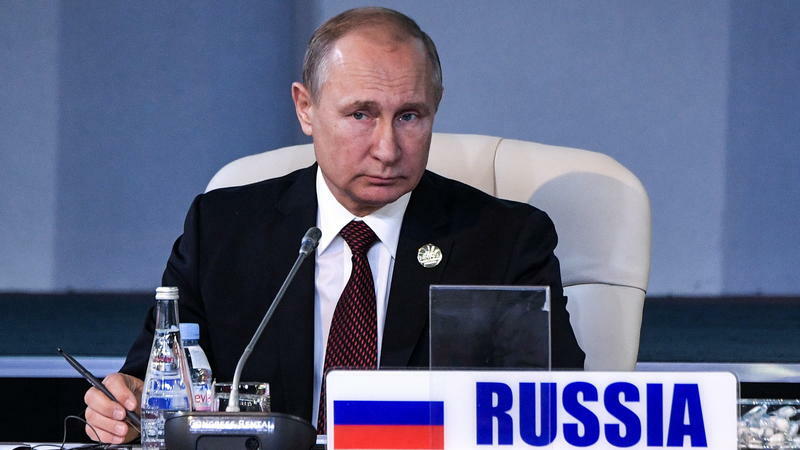 There's the state that discovered a Russian oligarch now finances the company that hosts its voting data. 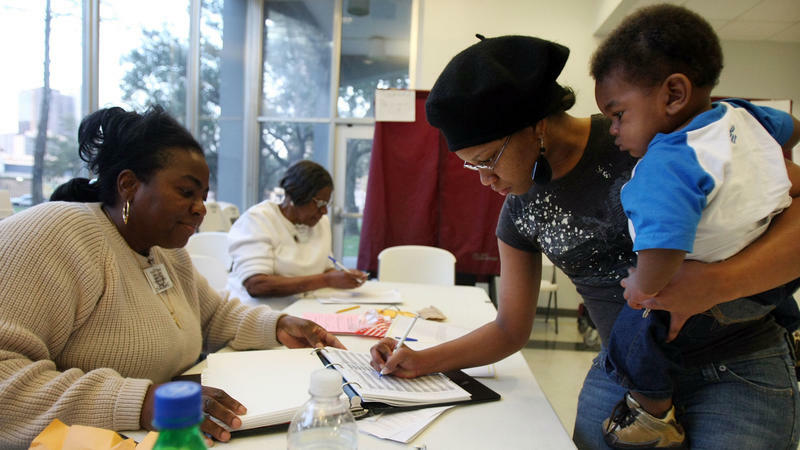 Then there's the company that manufactures and services voter registration software in eight states that found itself hacked by Russian operatives leading up to the 2016 presidential election. 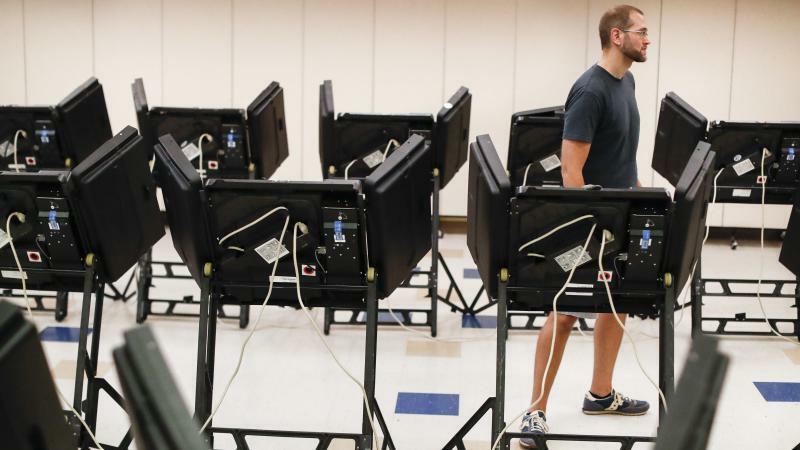 And then there's the largest voting machine company in the country, which initially denied and then admitted it had installed software on its systems considered by experts to be extremely vulnerable to hacking. 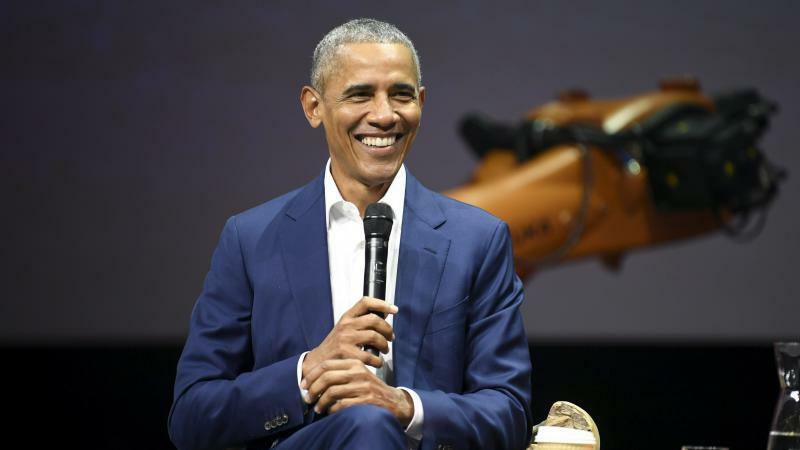 Members of Congress clashed on Wednesday with giants of the Internet world — including, in one case, a personal confrontation in the hallway. 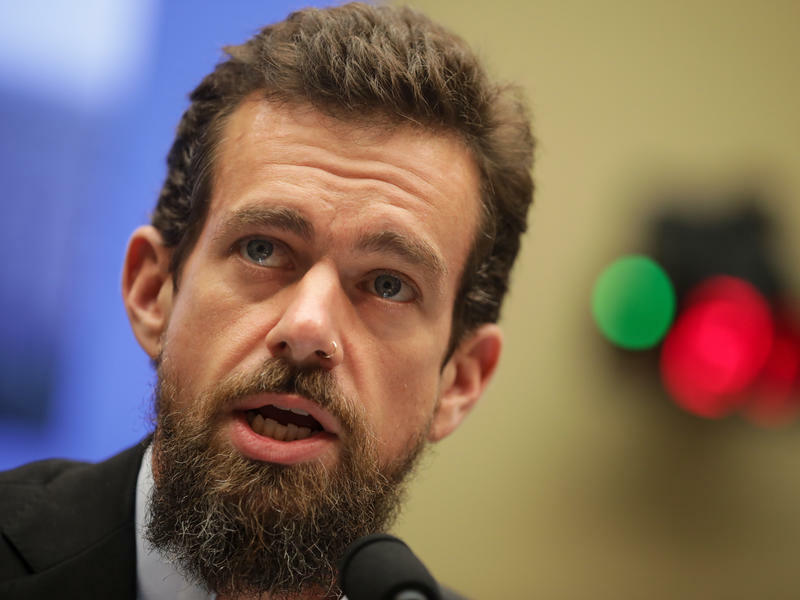 Twitter CEO Jack Dorsey faced questions Wednesday afternoon from a House committee amid criticism from Republicans that Big Tech suppresses conservatives online. 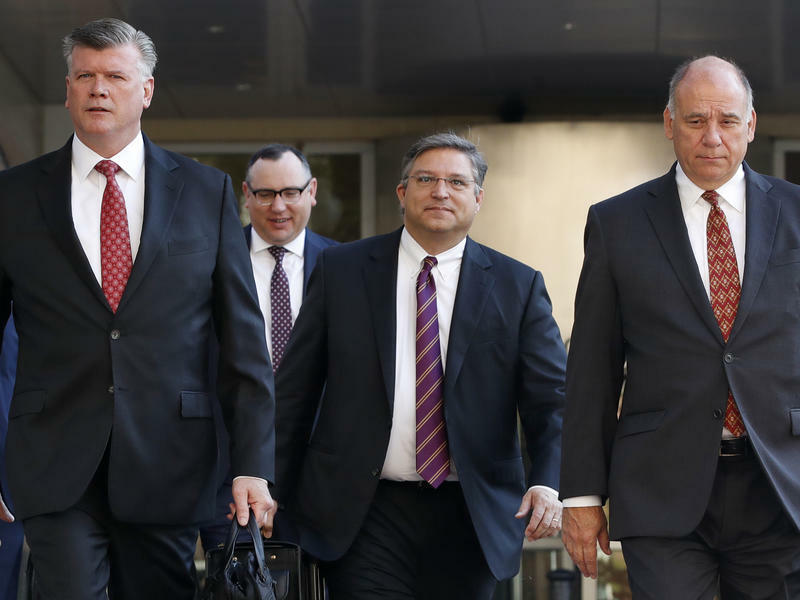 Paul Manafort's defense team rested on Tuesday without calling any witnesses to testify in the bank and tax fraud trial, including Manafort himself. 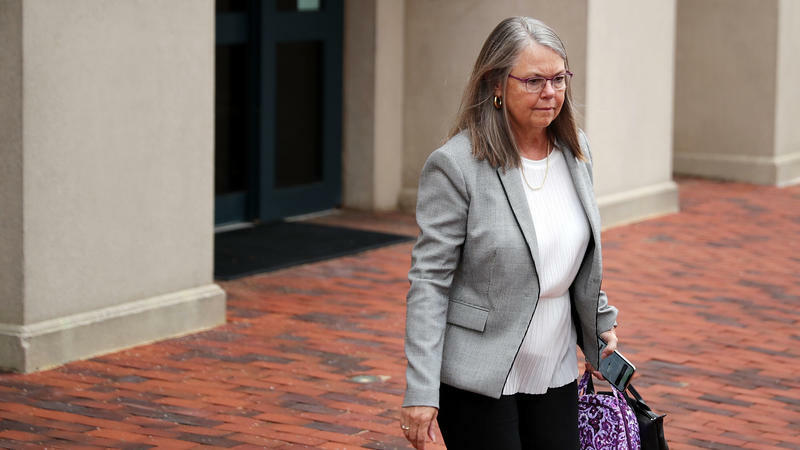 The move means the trial is nearing its end, as closing arguments are expected to begin on Wednesday morning. Defense attorney Kevin Downing told Judge T.S. 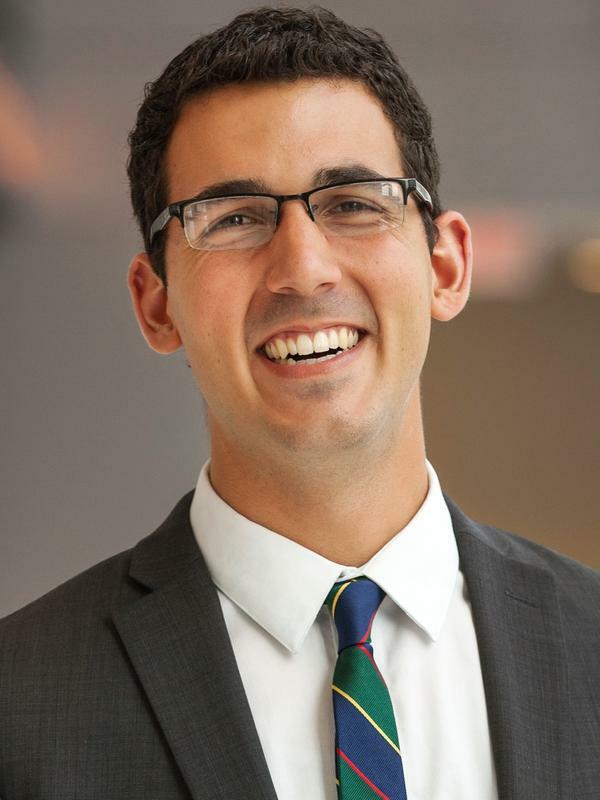 Ellis III about his team's decision before the court broke for lunch Tuesday and repeated it again in the afternoon to make it official in front of the jury. 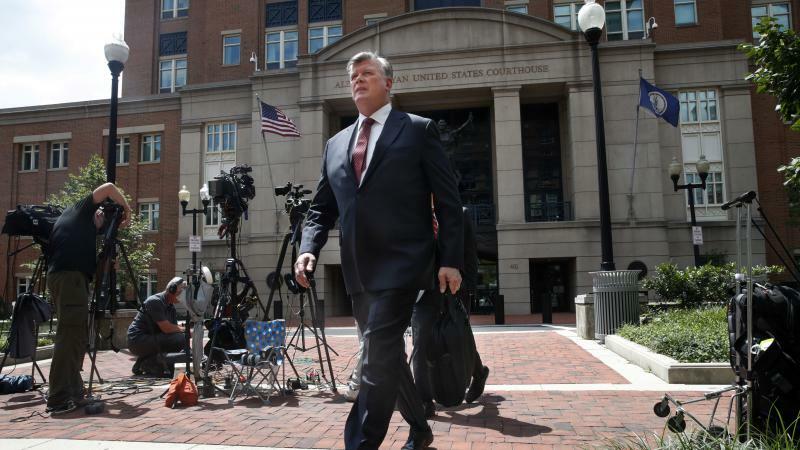 Prosecutors rested their case on Monday in the federal tax and bank fraud trial of Donald Trump's former campaign chairman Paul Manafort. 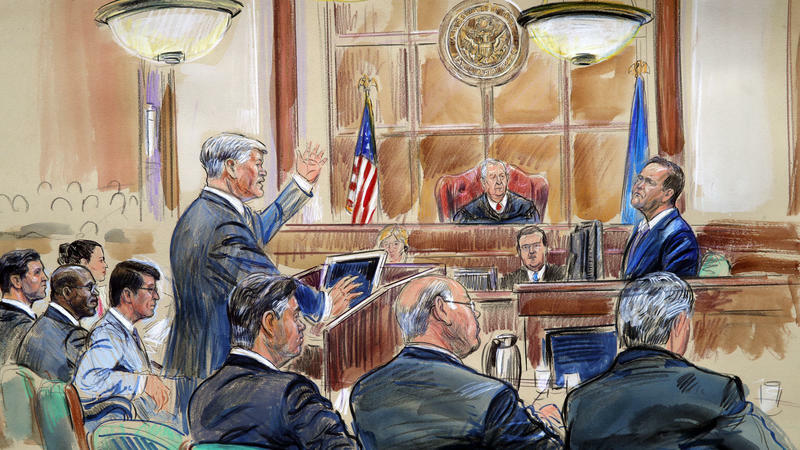 Over the past three weeks, through 10 days of testimony and more than two dozen witnesses, the government's lawyers told a story about how they said Manafort evaded taxes on millions of dollars that poured in from his political consulting work in Ukraine. 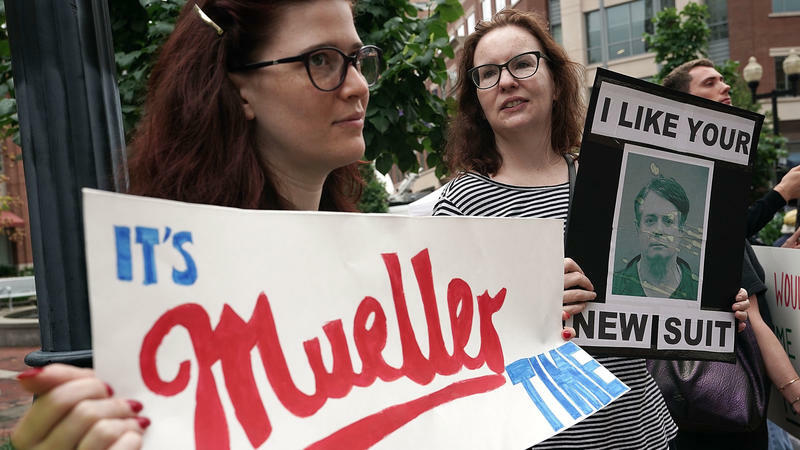 After that income dried up, prosecutors say, Manafort lied to banks to get loans to continue the lifestyle to which they say he had become accustomed. 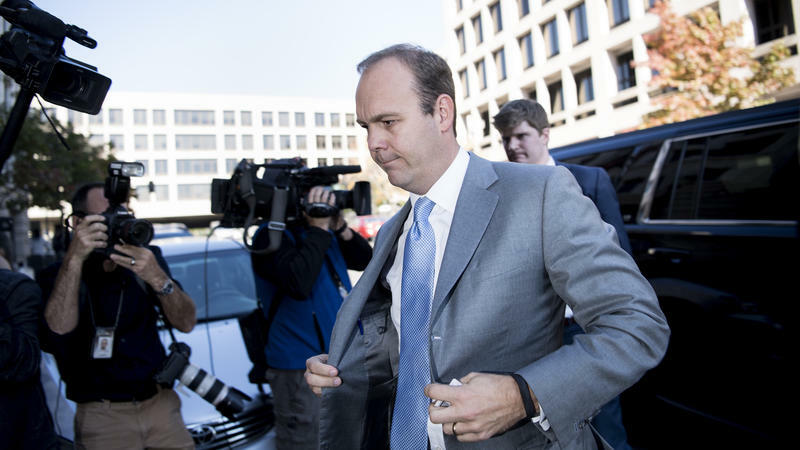 Paul Manafort's former business partner Rick Gates took the witness stand on Monday for the most highly anticipated — and likely crucial — testimony in Manafort's trial on bank and tax fraud charges. 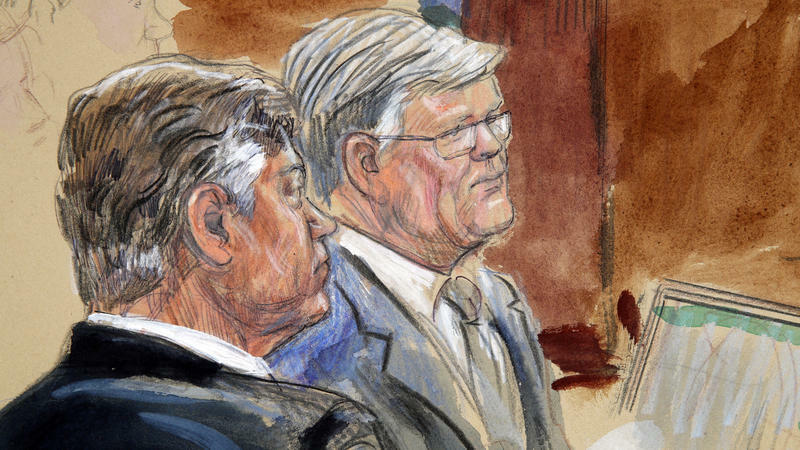 Gates worked as Manafort's right-hand man over the past decade, and prosecutors say he helped Manafort evade taxes and lie to banks to qualify for loans. 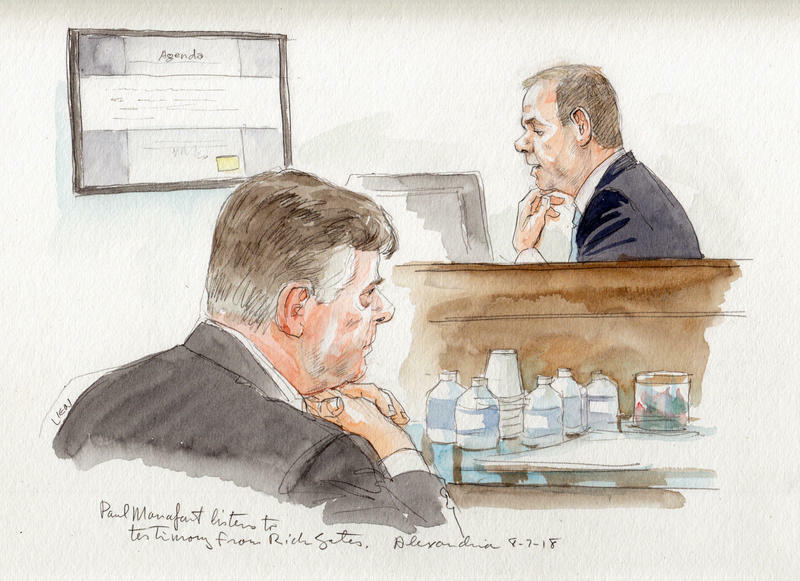 On Day 4 of the federal trial Friday in Alexandria, Va., jurors heard from two of Manafort's former tax accountants, Cindy Laporta and Philip Ayliff. 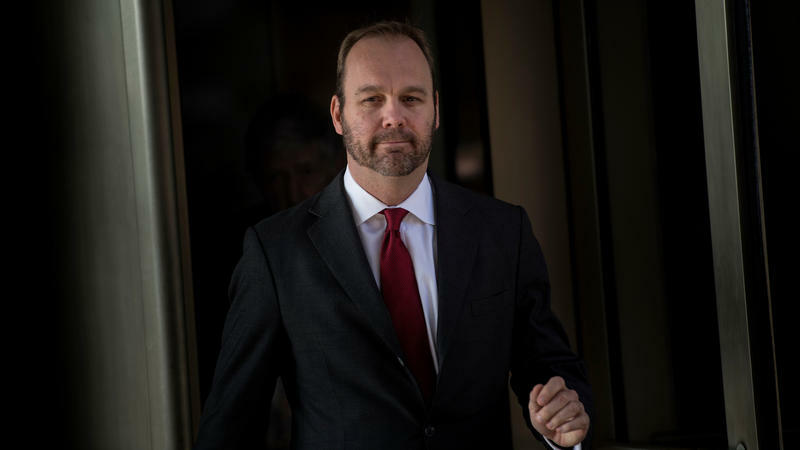 Their testimony directly addressed the bank and tax fraud charges the government has brought against Manafort. 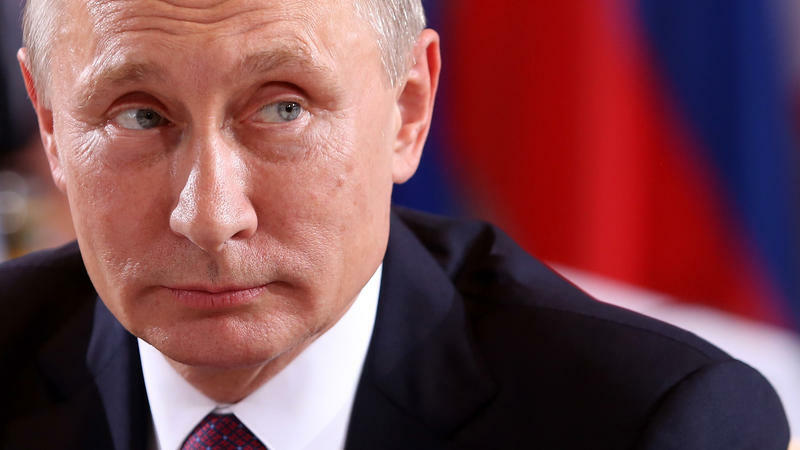 When Russian hackers targeted the staff of Sen. Claire McCaskill, D-Mo., they took aim at maybe the most vulnerable sector of U.S. elections: campaigns. McCaskill's Senate staff received fake emails, as first reported by The Daily Beast, in an apparent attempt by Russia's GRU intelligence agency to gain access to passwords. McCaskill released a statement confirming the attack but said there is no indication the attack was successful. 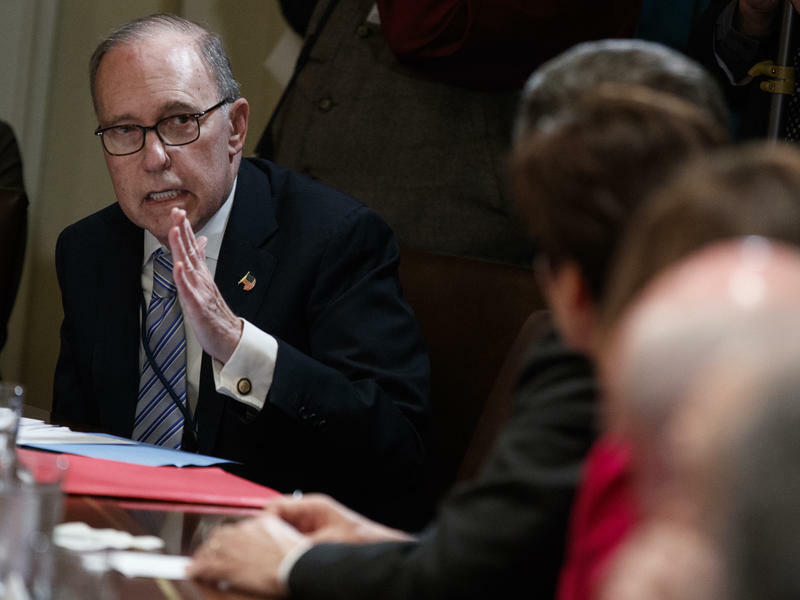 A bloc of conservative House Republicans filed articles of impeachment on Wednesday against Deputy Attorney General Rod Rosenstein, escalating their war against federal law enforcement to new heights. 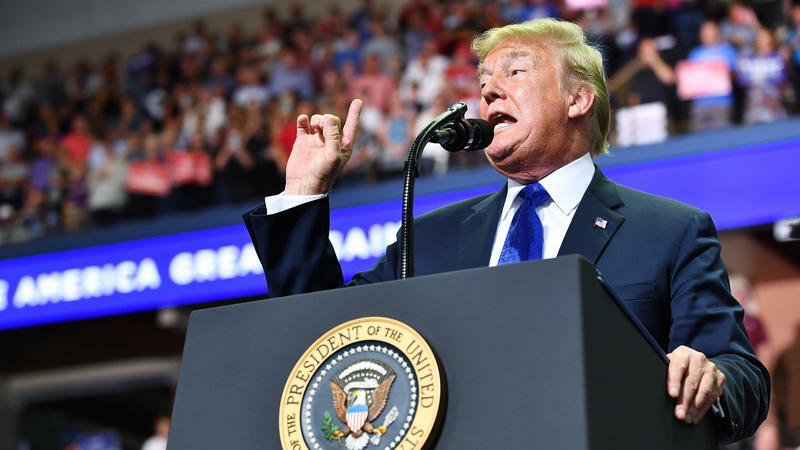 The group of 11 lawmakers, led by Freedom Caucus leaders Rep. Mark Meadows, R-N.C., and Rep. Jim Jordan, R-Ohio, have been threatening to file impeachment articles for months. 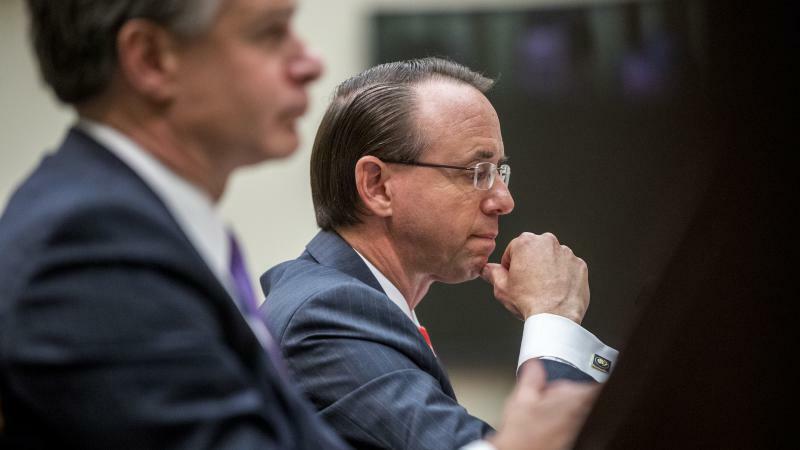 They say Rosenstein is withholding documents from Congress and has mishandled the 2016 election investigations.